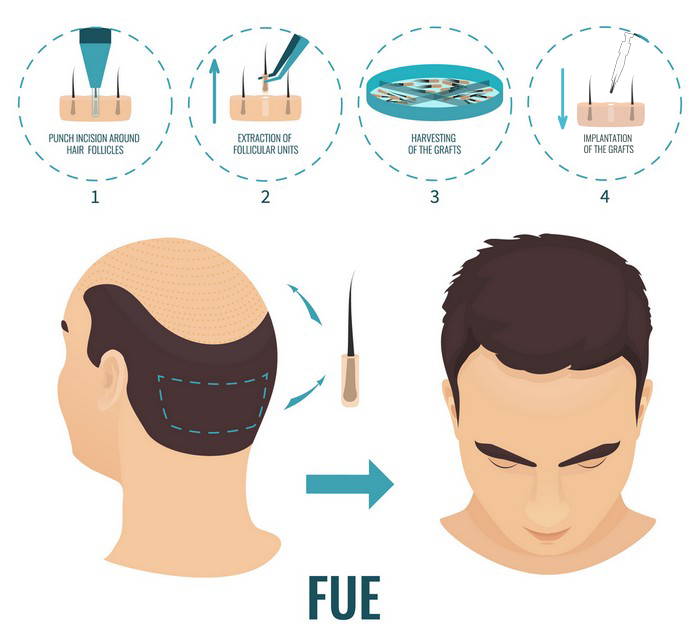 Follicular Unit Excision is a method of harvesting donor grafts that removes one follicular unit at a time using a small (0.8 or 1.0mm) punch. These grafts maybe harvested with a simple hand tool, a motorized hand engine, (SAFE, Neograft, or PCID systems), or by a physician controlled robotic device. 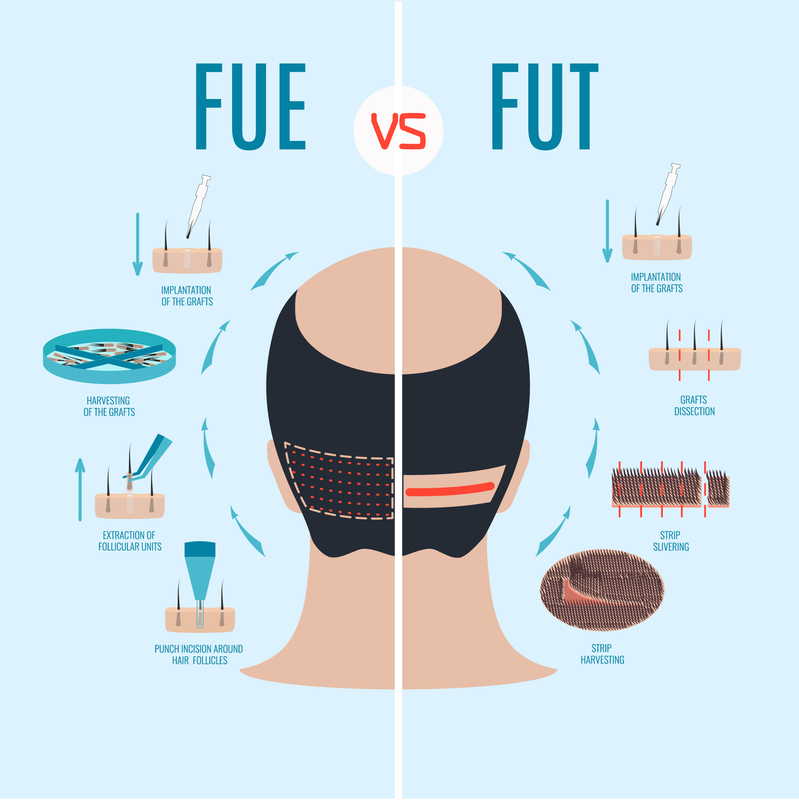 FUE is a relatively new and revolutionary technique, having only been used for about 11 years, and in common use for only 5 or 6 years. The donor area used for the transplant will be larger than a FUT procedure, and it must be shaved to allow the punch to fit over the hair. The reason for this is that if Dr. Puig would use a very small donor area then it would look empty and the hair would look thin and not lie down naturally. By making the donor area larger we avoid that. Using this method we don’t need to remove a strip from the back of the head, leaving no linear scar or mark and you can even have a very short haircut and the small scars that occur will be hidden. Using this method we are able to give our patients a very natural look. The FUE punch grafting techniques are very close to those methods used to harvest the plug graft of the 1970’s and 80’s. The entire donor area must be shaved during the procedure to get the grafts out, as the harvested grafts must be spaced evenly and as wide apart as possible to create the most natural looking donor area when the hair regrows. Dr Puig has been performing FUE surgeries for 9 years and has over 20 years of experience with methods such as punch grafting.